Well then! We got some ABSOLUTELY insane stuff in today. Some are “In Store Only” and some are available for holds. But the moral of the story is that you should get up here today! Take a look at what’s arrived and be awed!! WAIT a second… this is different than Prairie / Evil Twin Bible Belt? Yes, yes it is. This is the Evil Twin version of the beer. AND it’s in 16oz cans. DAAANGGG! WTF??? Have you had the regular one? It’s amazing. Well we got a small allocation of the MAPLE BOURBON BARREL version. It’s not enough to do holds but it IS enough to spread them around throughout the day. So, again, COME UP HERE! So rare, we don’t even have a PHOTO yet! (No seriously, we didn’t get much at all). 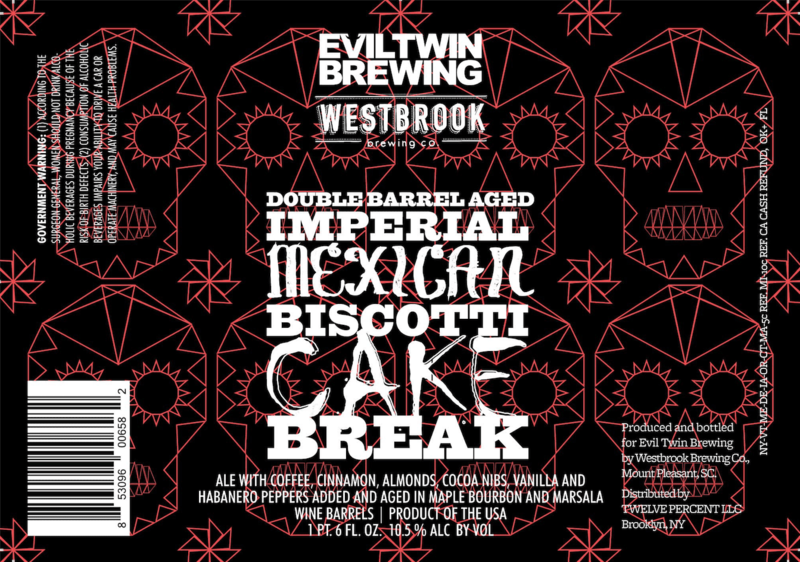 This is their Imperial Mexican Biscotti Cake Break aged in Maple Bourbon barrels AND Marsala Wine barrels. We’ve been waiting on this one for a while now!